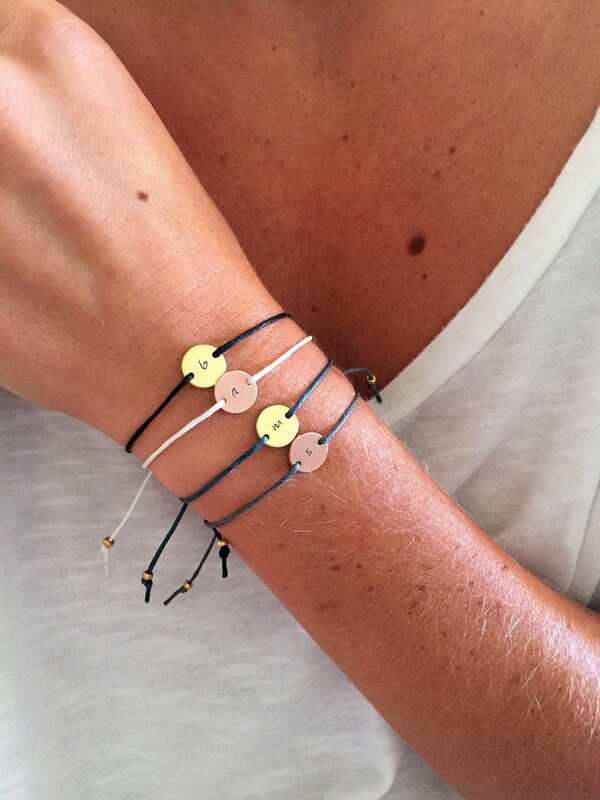 It's little things like a thoughtful, personalized bracelet that add sunshine and happiness to life! Don't miss out on the chance to make someone's day (or show yourself some love) with the rose gold custom initial bracelet. 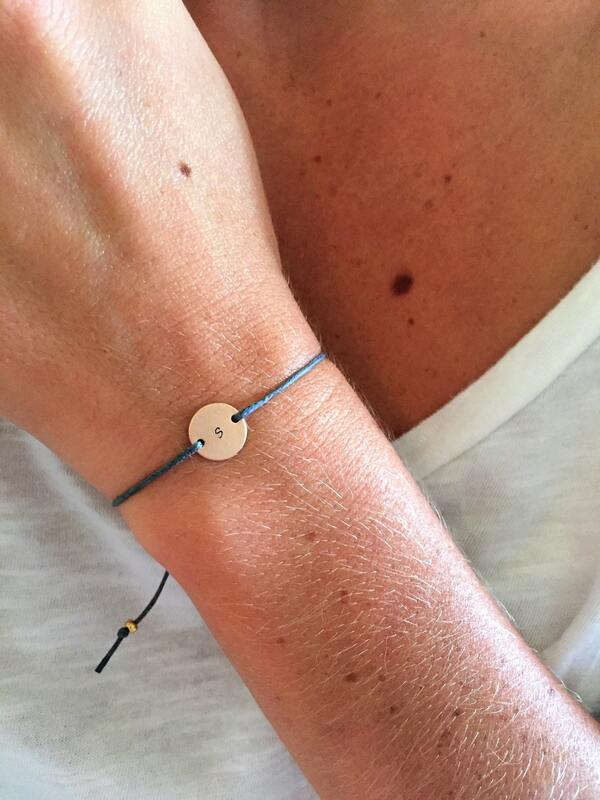 It is the epitome of simplistic beauty and a must have for anyone who likes minimalist, classy, personalized jewelry! 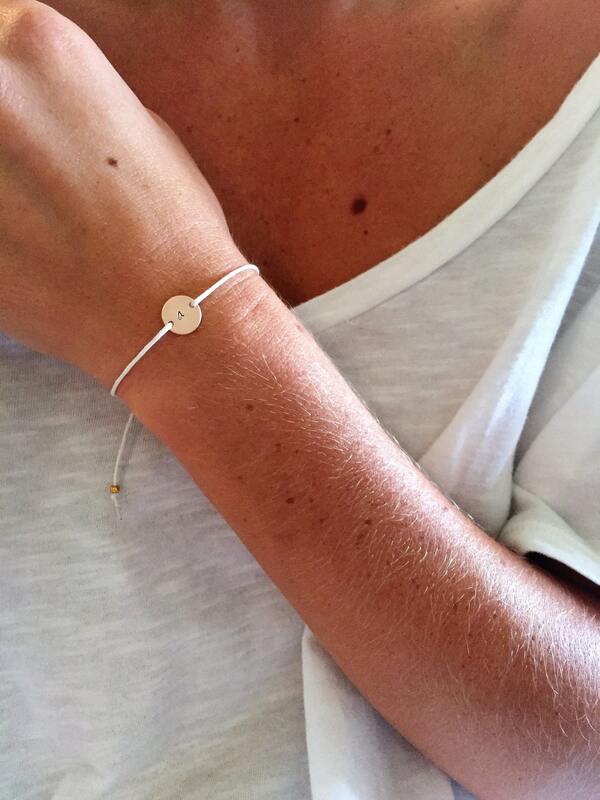 A gorgeous bracelet made with lightly waxed cotton cord and a 10mm Matte Rose Gold round disk to be customized with the initial of your choice in ImpressArt's basic bridgette lowercase letter font (see font style in last picture). The bracelet is made adjustable with a sliding knot closure and the ends are finished off with Miyuki Duracoat Galvanized Gold Seed Beads. 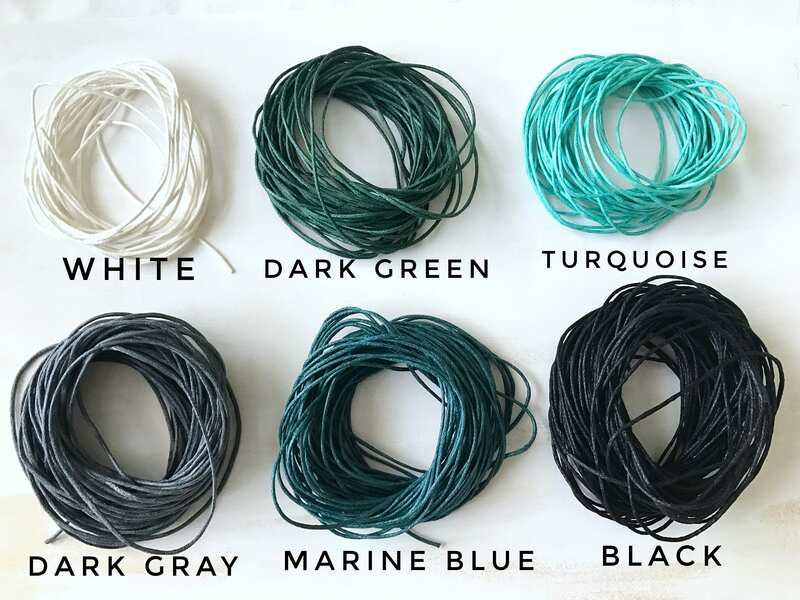 **This bracelet is available in white, black, dark gray, dark green, marine blue, and turquoise cotton thread colors. Bracelets show are white and dark gray thread. 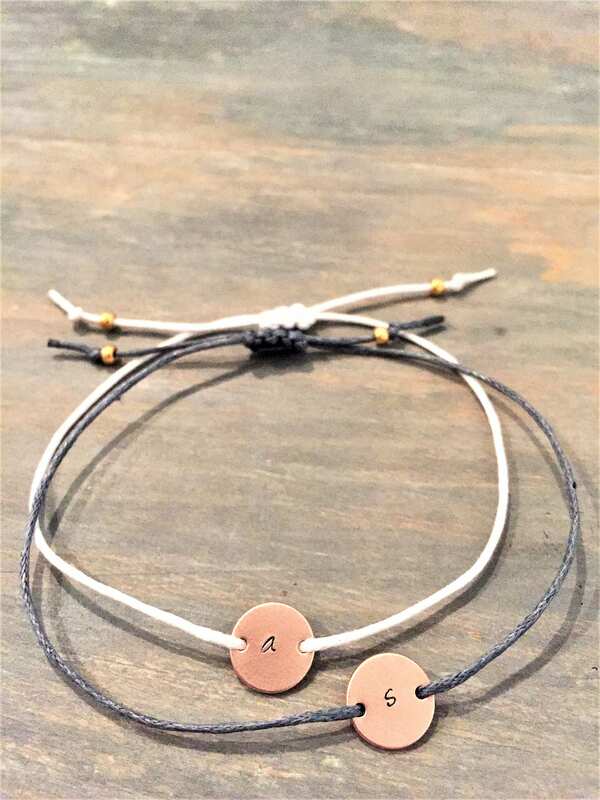 ** For yourself or for a gift stack two bracelets with first and last initials for a unique custom look! *Please note that although all cord is technically the same size, the black thread has a slightly thicker feel than the other threads. • Your Rose Gold charm is brass with a Matte 16kt Rose Gold Plating. It is tarnish resistant but please treat with care to avoid scratching or otherwise damaging your charm. • The Rose Gold seed beads on the end of your bracelet are made with Toho's new permanent galvanized finish which is 90% more durable than their previous galvanized finish. However, do still be sure to avoid exposing your beads to harsh household chemicals (bleach, sulfuric acid etc.) and remove before showering, exercising, playing sports or engaging in vigorous household chores.